Limerick's Tim Rice is just three shots off the lead after the opening round of the PGA EuroPro Tour's Clipper Logistics Championship in Leeds. The 37-year old had five birdies in a three under par 68 at Moor Allerton Golf Club's Blackmoor Course and shares fifth place behind Billy Hemstock, who fired a 65 to lead by two strokes from Alexander Holmes, Charlie Lidyard and Ben Loughrey. Killeen Castle's Rick Weldon shot 69 to share 10th spot with David Rawluk (73) tied 69th, Paul Cutler (76) 111th, Matt McAlpin (79) 142nd and Brian Sweeney (85) 155th. West Waterford's Seamus Power was hitting the ball a mile off the tee as he opened with a two under 69 in the Web.com Tour's Rex Hospital Open at TPC Wakefield Plantation in Raleigh. 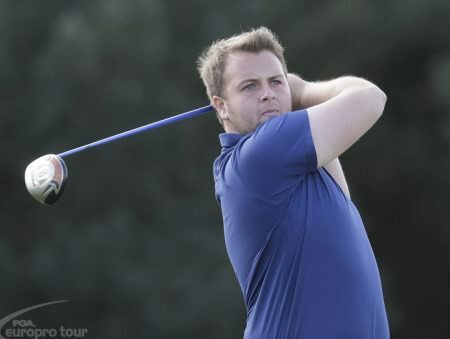 Europro Tour — Headfort's Brian Casey carded a seven under 64 to take a one-stroke lead into the last two rounds of the Clipper Logistics Players Championship at Moor Allerton Golf Club in Leeds.